Most of my stories stem from more than one idea, and I can trace this one back to two distinct inspirations. The first was an article in New Scientist about ‘Waterloo teeth’. In the early 19th century, the English enthusiasm for sugar combined with poor dental hygiene to generate rampant tooth decay in the upper and middle classes. Replacements of various materials were tried, including ivory and hippo bone, but by far the best option was another set of human teeth. The preferred sources were executed criminals and soldiers killed in action, preferably those young enough not to have worn out their teeth and poor enough that they couldn’t afford sugar. The bloodbath of the Battle of Waterloo in 1815 flooded the European market in replacement teeth. Wealthy recipients would pay a premium for a set of genuine Waterloo teeth, and the confidence that they weren’t coming from someone who died of a disease they might inherit. The history of Waterloo teeth was so macabre it begged to be used in a story, but I had no more than an idea until I had a lengthy discussion with a writer friend about how and how not to make use of dreams in fiction. At the time, I was beginning to get interested in the history of the transatlantic slave trade and the Royal Navy’s anti-slavery squadron that operated off West Africa in the early 19th Century. It all came together to produce Cassandra’s Cargo. Something must have worked because I felt, and still feel, that Cassandra’s Cargo hit a level above the stories I’d written before it. For anyone taken with the idea of Waterloo teeth, there are several sets in the Hunterian Museum in London. 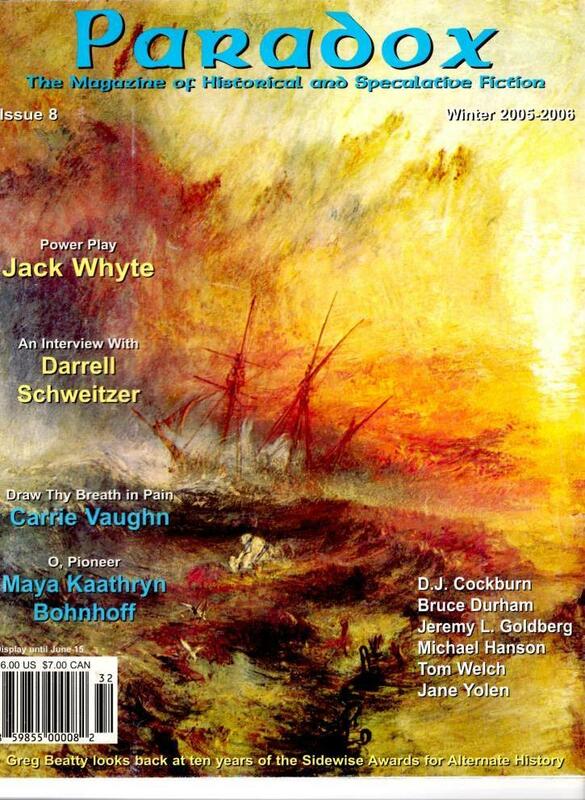 Cassandra’s Cargo was first published in Paradox #8, Winter 2005-2006. Full text is now available at Toad’s Corner.